One of the biggest obstacles keeping FMCG shoppers from completing their online purchases is high delivery fees. Notably, this is a factor acknowledged by both the younger generation (18-25 years) (69%) and Baby Boomers (76%). 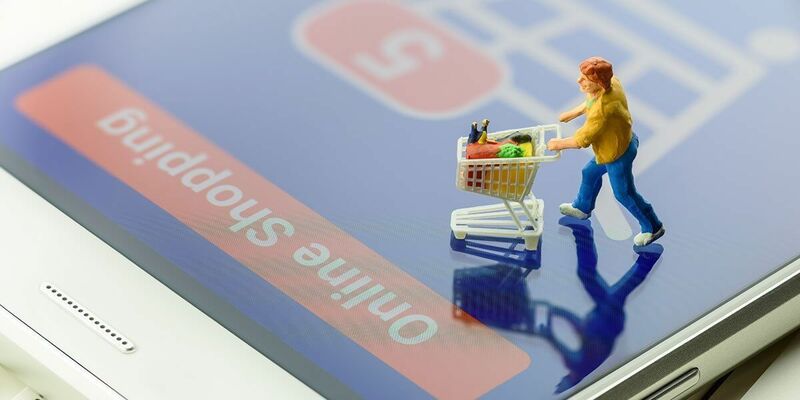 Also, FMCG e-tailers must take the necessary steps to minimize product unavailability online, as this could leave customers feeling dissatisfied. Effectively communicating about product availability and quality can bring in more transparency and bridge gaps to a large extent. Additionally, our findings reveal that gaining consumer confidence is crucial for FMCG e-tailers to scale up their share of the online shoppers’ wallet. Validating customer reviews and testimonials, setting seller product quality standards are a few ways that help keep the credibility aspect in check. 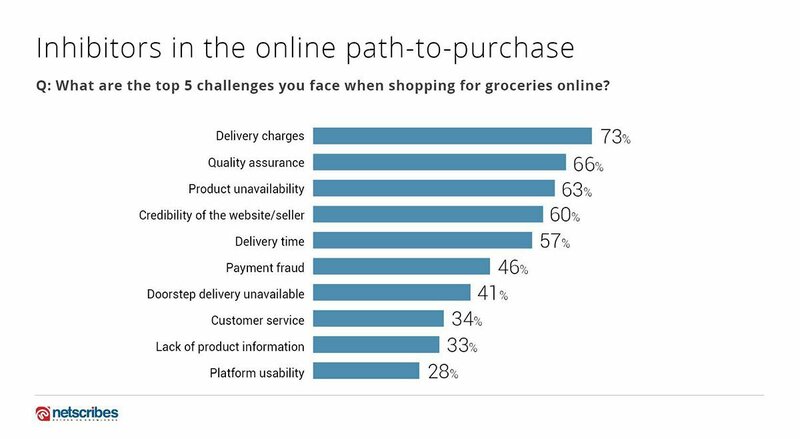 Among some of the other top inhibitors causing online FMCG shoppers to abandon their carts were delivery time, fear of payment frauds, and unavailability of doorstep delivery. 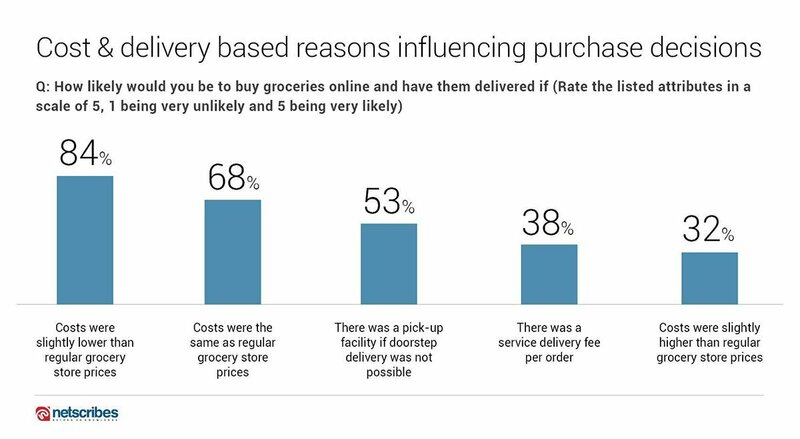 While assessing how likely FMCG consumers were to shop online given certain delivery and cost situations here’s what we found. 84% were more inclined to hit the buy button if the prices online were even a tad bit lower than in-stores. Interestingly, the Baby Boomers were the largest group chorusing this response. According to our results, half of them were unlikely to purchase groceries online if the prices were higher than store prices. They conveyed a similar response of “highly unlikely to buy” if a delivery fee was assigned per order. But here’s an eye-opening insight for e-tailers vying for the Baby Boomer wallet: Almost 50% of their responses recorded opted for a pick-up facility. So it’s clear that while this generation is disinclined to the idea of being weighed down by shopping bags, they still don’t mind driving to collect their groceries. Another interesting finding to note is that 38% of the respondents said they were still likely to buy online even if it cost them a service delivery fee per order. To get an in-depth view of our survey findings, download the whitepaper – What online FMCG consumers want: 2019 US Consumer Survey.